Congratulations on your adoption! Puppies sure have a way of stealing our hearts with those cute puppy eyes and kisses. Adopting a puppy is a lot like having a baby, they require a tone of patience, need a lot of attention, and need to be taken outside a lot! If you are searching for adopting a puppy advice, you are in the right place. Rescue Dogs 101 is here for you in every part of your dog journey. I have put together the most important articles just for you and your new puppy. You probably already know that puppies require 100% supervision. They can't be left alone in a room or else you will have potty accidents, chewed up shoes and maybe even the TV remote! So I hope that you will take some time and read through my suggested posts to help in raising your puppy into the dog of your dreams! ​If you haven't adopted your puppy yet, please ​start on ​ our getting ready to adopt page. 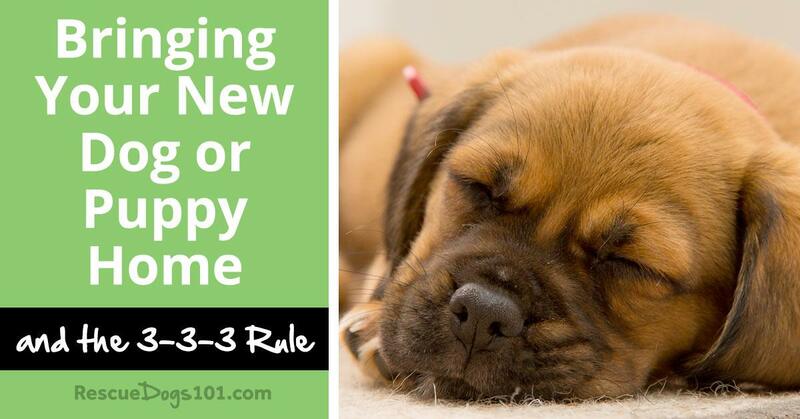 More articles about training and keeping your puppy happy healthy. Is it Ever Okay to Rehome a Dog? What’s the Difference Between Spayed and Neutered?